NEW YORK — Never mind the critics. 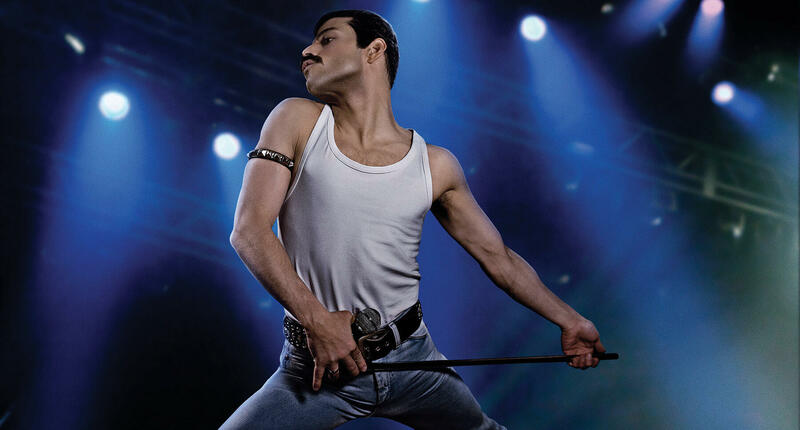 "Bohemian Rhapsody," starring Rami Malek as late Queen frontman Freddie Mercury, shrugged off production troubles and mediocre reviews to debut with $50 million in weekend ticket sales in U.S. and Canada, and another $72.5 million internationally, according to studio estimates Sunday. That was well beyond expectations, which had pegged the film closer to $35-40 million in its opening weekend. "Rhapsody" currently holds only a 60 percent fresh rating on Rotten Tomatoes. But audiences rushed to theaters to see the widely praised performance by Malek, the "Mr. Robot" star, and to hear Queen's foot-stomping anthems like "We are the Champions," ″Another One Bites the Dust" and the operatic title song. The movie, which Bryan Singer directed before being replaced by Dexter Fletcher, at times has an almost concert-like feel, including a lengthy re-creation of the band's 1985 Live Aid performance. Singer admitted that he and Malek initially clashed, but later claimed that that they got past their differences. When a report stated that Singer was being "unprofessional" and had been absent from the set during filming, he responded that he had to return to the U.S. to deal with "pressing health matters" concerning one of his parents, leading to his firing. In soaring to No. 1, the Fox release trounced one from Disney, which will soon own the studio. The Walt Disney Co.'s lavish, big-budget "The Nutcracker and the Four Realms" opened with just $20 million, despite a production budget of $125 million. Disney is set to merge with Fox in the coming months, effectively ending the 103-year-old Fox, one of Hollywood's six major studios. "Bohemian Rhapsody," made for $52 million, was largely dismissed by critics as an overly conventional rock biopic. But the film proved more popular with moviegoers, who gave the PG-13 release an "A" CinemaScore and 4 1/2 stars out of five on Comscore's PostTrak audience survey. "Even in the negativity that came out of critics, there was always a 'but,' almost universally: 'But Rami is great,'" noted Aronson. "I'm very happy for [producer] Graham [King] and Rami and the entire filmmaking team. And I'm happy for the home team. This is a big win for Fox."